Coming off back-to-back Top Fuel Harley victories, Beau Layne of NitroLayne Racing announces his partnership extension with primary sponsor Dixxon Flannel Co. for the NHRA Spring Nationals, April 12-14, 2019. 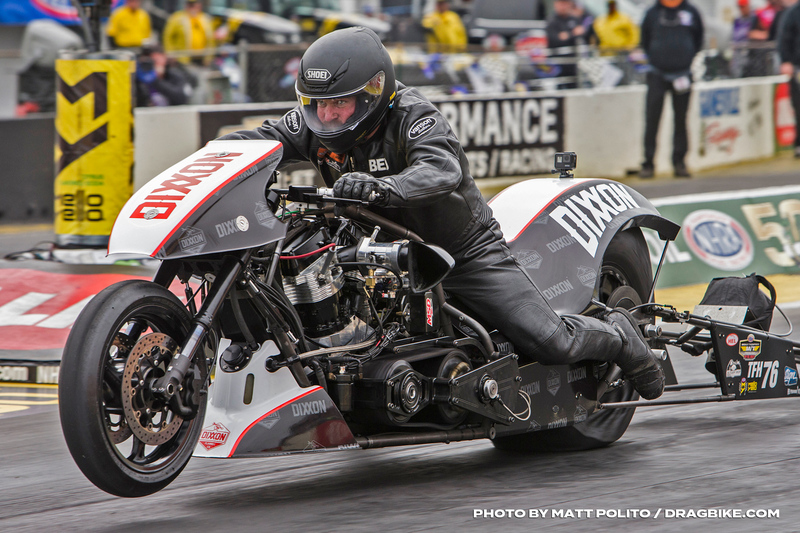 Call it luck or call it skill, there is no denying that Beau Layne and his Dixxon Flannel NitroLayne Racing Top Fuel Harley team are championship contenders. With two consecutive wins on the season and the current points lead, Dixxon Flannel Co. is excited to be apart of the journey. Team owner and rider Beau Layne is taking all of this in stride. Beau Layne and his Dixxon Flannel Co. NitroLayn Top Fuel Harley in the pit at the 50th annual Gatornationals. The NitroLayne Racing program currently has the recipe for success figured out. 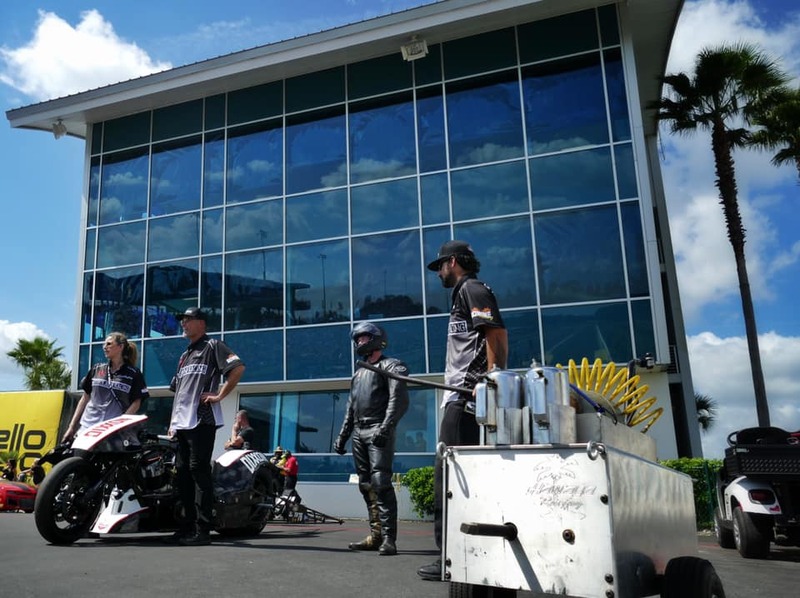 With managing a successful two race sponsorship with Dixxon Flannel, winning two consecutive races, and experiencing career best passes, this top fuel Harley team does not have plans on letting up anytime soon. The NHRA Spring Nationals will take place April 12-14, 2019 at Houston Raceway Park located in Baytown, Texas. 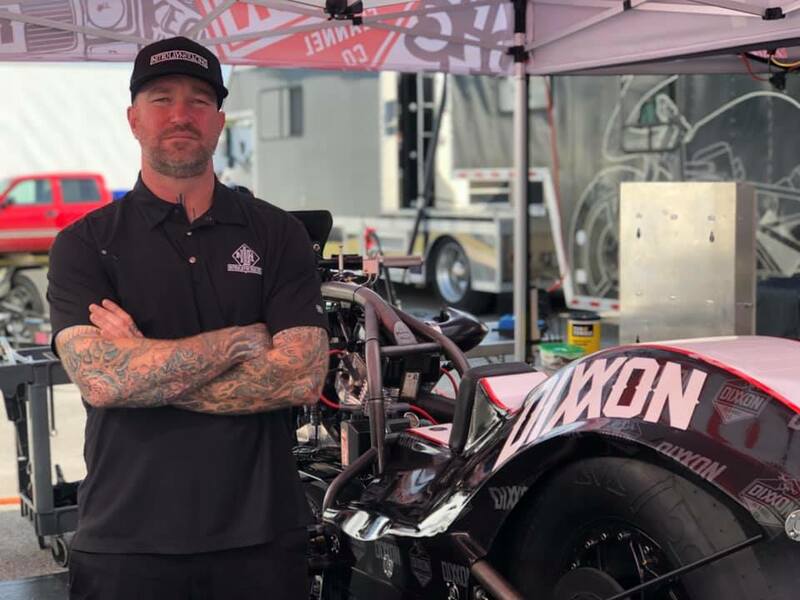 Beau Layne and his Dixxon Flannel NitroLayne Racing Top Fuel Harley will take the track for qualifying on Friday and Saturday, with eliminations scheduled for Sunday. We’re the stepchildren of a lost generation. Fueled by all things fast, with an addiction to adrenaline. We are the creators of the underground, escaping our civilization of forcefed media. We covet what is bold, true, and real. For the builders by builders.For the fast and the reckless by the fastest and the absolute reckless.For the working class by the working class. Wrench, ride, skate, check the waves, stage dives and circle pits…Dixxon is right there with you. We are the people for the people.